The management of the St. Simon’s House will highly appreciate your cooperation in complying with the regulations which serve to ensure the peaceful and safe stay of our guests. 2. The guest has the possibility to make a reservation in two ways - via a booking application on the website or by telephone - directly with the reception. Phone booking times between 7am and 10pm. 3. An online booking is made through the HOTRES system. 4. After making the reservation, the guest will receive the confirmation of booking conditions at the e-mail address indicated by him. 5. All bookings require payment of a deposit to the bank account stated on the confirmation. The deposit is 30% of the cost of your stay. Remaining payment for the stay is due on arrival. 6. Booking a one-day stay requires a prepayment of 100% of the room charge. 7. The reservation is deemed made at the moment of payment of the deposit by electronic transfer and the entry of the receivables in the bank account of the St. Simon’s House. 8. After confirming the payment by the St. Simon’s House, the guest receives a confirmation of the booking at the e-mail address. 9. The booking confirmation shows the total cost of the stay, including the amount of VAT. The prices quoted on the website are gross prices. 8% VAT is included in accommodation services. 10. Payments are made via bank transfer to the bank account of St. Simon’s House or by cash at reception. We do accept payment cards. 11. The guest declares that he agrees to St. Simon’s House keeping the receipt from the cash register until the date of the agreed arrival. 12. Changes to the dates of confirmed reservations are possible if the rooms are available. In case a change in the booking is not possible, it remains valid. The offered price includes the charge of a specific type of room within the given time limit for strictly defined number of people. 1. The failure to pay a deposit by the guest within 3 working days results in the automatic cancellation of the reservation and the guest will be notified by e-mail to the address indicated in the booking. 2. In case of cancellation of the reservation, the value of the deposit paid will be forfeited. 3. In the case of cancellations on the guest's arrival or in the absence of their arrival, the guest is obliged to pay the full amount for the stay on the reserved date. 4. To cancel or change your booking, please contact our reception. The deposit is non-refundable. 2. In case of booking a parking space for vehicle by our website, guest should selected this service in the form. It will then be included in the price offered. It is possible to pay for parking space at reception desk. According to the provisions of the Act of 29 August 1997 on the Protection of Personal Data, the data entered will only be processed for the purposes of the reservation. Personal data will be processed by the system - HOTRES.pl based in Jelenia Góra. 1. Rooms are only rented upon completion of the registration formalities at the reception after the submission of a personal ID or passport. 2. Check-in at the St. Simon’s House is tantamount to accepting the rules by the guest. 3. Rooms are rented per day. 4. Check-in from 15.00 on the day until 11.00 the following day. 5. If the guest does not specify the length of their stay while booking a room, it is assumed that the room has been rented for one night. 6. If the guest wish to extend your stay beyond the period indicated on the day of arrival, he should report at the reception until 9.00 of the day the room is due, however the decision to extend your stay is dependent on our availability and it is granted under the House discretion. 7. Staying in or leaving your room after 11.00 is considered an extension of your stay. If the guest leaves the room after 11 am, the reception desk computer will charge a fee for the next full day of room charge. 8. The guest may not share the room with others, even if the day for which he / she has paid the fee has not expired. 9. Visitors can stay in the room between 7am and 10pm. 10. Staying unregistered in the guest room after 22.00 is equivalent to agreeing to checking-in the visitors and therefore charging the guest. Each person will be charged according to the current adult price, from the price list available at the reception of the St. Simon’s House. 11. In the event of unforeseen circumstances, St. Simon’s House reserves the right to change the booked room to another of the same standard or higher as the customer will be informed prior to arrival. 12. Throughout your stay at St. Simon’s House children under the age of 13 must be under constant adult supervision and care. Children's legal guardians are responsible for children's behavior, including damage or injury. 13. Room keys are given to the guest at the reception of St. Simon’s House. Every time before you leave the room, give the keys to the reception of St. Simon’s House at the request of the staff. 14. Please keep the room keys in good working order, if they are lost, the guest will be charged for replacement of the lock. 15. In the St. Simon’s House - in rooms and on balconies, in accordance with the Act of 8 April 2010 on the amendment of the Law on the protection of health against the consequences of tobacco and tobacco use and the Act on the State Sanitary Inspection (Journal of Laws No. 81, item 529 ) - a complete ban on smoking cigarettes and tobacco products is in place. 16. Disobeying the ban on smoking in cigarettes and tobacco products in a hotel room is equivalent to expressing a guest's consent to cover the cost of room equalization in the amount of PLN 1,100. 17. It is forbidden to consume alcoholic beverages on the premises of the property and in its surroundings. 18. At St. Simon’s House the guest is requested to respect the night silence from 22.00 to 7.00 the next day. 19. In the silence hours, guests are obliged to act in a manner which does not in any way disturb the peace of others. 20. The guest bears full material and legal responsibility for any damage or destruction of items and technical equipment of the St. Simon’s House. He is considered liable for his visitors. The Guesthouse reserves the right to charge the payment card which was given as a guarantee of reservation for damage caused also after departure. 21. Guests are kindly requested to inform the reception desk about the occurrence of the damage or to report it as soon as possible. 22. St. Simon’s House does not accept pets. 23. For fire safety it is forbidden to use in rooms and other areas: heaters, irons and other electrical appliances that is not suitable for these rooms. This does not apply to chargers and power supplies for RTV and computer equipment. 24. Whenever leaving the room, the guest should check the closure of the windows and doors and make sure the door is locked. 25. Responsibility of the St. Simon’s House for the loss or damage of things brought by the guest to the facility is regulated by art. 846-849 of the Civil Code. Responsibility of the House is subject to restrictions if these items are not deposited in the reception desk. St. Simon’s has the right to refuse to accept money, securities and valuables, in particular valuables and objects of scientific or artistic value, if they threaten security or are too great value for the size or standard of the House or they occupy too much space. Money, jewelry and other stuff brought by a Visitor to St. Simon's House which value exceeds 1000 PLN should be stored in a closed safe available at the Reception Desk. If such things are left outside the safe, the House of St. Simon shall not be held responsible for them. The house of St. Simon has the right to refuse to accept for storage money, securities and valuable objects, in particular valuables and objects of scientific or artistic value, if they threaten safety or have too much value in relation to the size or standard of the house of St. Simon or take up too much space. 26. St. Simon’s House provides services according to its standard (guest rooms - private accommodation). In case of complaints and remarks about the quality of service, the guest is asked to report them promptly at the reception, which will allow further response. 27. Personal items left in the room by the departing guest will be returned at his / her expense, to the address indicated by him / her. In case you do not express such request, the House will keep these items for 3 months and then donate them for charity or public use. 28. In the event of breach of the provisions of these Regulations, St. Simon’s House may refuse to provide further services to the person who infringes them. Such person is obliged to immediately comply with the demands of the staff of the House, settling the bill for the previous service, pay for possible damage and destruction and leave the premises of the St. Simon’s House. 29. St. Simon's House reserves the right to commisionary transfer the Guest's belongings, if the reception is not informed about the wish to extend the hotel's stay and to deposit them in another free room or another place at the expense and risk of the Guest. 30. St. Simon’s House may refuse to accept a guest who has grossly violated the regulations during the previous stay, causing damage to the property of the House or the guest, damage to persons, or visitors staying at the House, or otherwise, disturbed peace in the House. 31.. Guests of St. Simon’s, before leaving the room, is obliged to report to the reception desk to check-out from the room and then return the key and pay any other fees for the stay. 32. Guest is fully financial and legal responsibile for all the goods and services used during the stay. In case of using some goods or service without declaration at check-out, House reserves the right to charge guests payment card or send a credit note. 1. These Regulations apply from 31 March 2016. 2. St. Simon’s House has the right to unilaterally amend these Regulations. These changes will come into effect on the day they are published on the website. 3. You have the right to submit written complaints about our services. 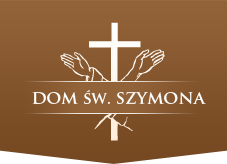 Complaints will be accepted at the address of the St. Simon’s House (Franciscan House of St. Simon’s of Lipnica, Bernardyńska 2, PO Box 765, 31-069 Cracow) or electronically at info@domszymona.pl and will be dealt with within 14 business days from the date of receiving. 4. In matters not covered by these Regulations, the provisions of the Civil Code and other acts shall apply. 5. The law applicable to the provision of services by electronic means by the St. Simon’s House is Polish law. 6. The court responsible for resolving the disputes arising from the Regulations is competent for the domicile of the St. Simon’s House, subject to paragraph 7. Use of our services constitutes your acceptance of these terms and conditions. The user of the Car Park is the natural person using the Car Park indeed (the person driving the moment of entry or the leaving of the car park or the owner of the vehicle). An allocated area is a parking space on the area stewarded by the Saint Simon's House intended to the parking of the vehicle. Once a guest has entered the Car Park payment is required as outlined in the rules and regulations. The Car Park is paid, unguarded, monitored 24 hour by cameras, active 24/7, in all days in the year. Entry and the leaving of the car park are possible in 7.00 - 23.00. The administrator has exclusively a right to decide on the lock and for opening the Car Park in dates established by oneself, as well as can make decisions on periodic excluding the Car Park from the use or the change of the opening time of the car park. g) The User of the Vehicle on his own is securing his vehicle with before the theft. Entry to the Car Park is taking place after reporting this fact of the reception of the Saint Simon's House through available outside the gate entryphone. Directly after the slip road to premises of the Saint Simon's House User is obliged to pay a fee for the car park at the reception desk of the House according to the available price list at the reception desk. In case of the lost parking card one User should pay a parking fee of the amount determined in the price list. The User of the vehicle is responsible for all caused damage Managing and for third parties on the area of the Car Park. The Car Park isn't a manned car park. The administrator isn't bearing responsibility for any damage incurred in the result of a calculation of the force majeure (e.g. of effects of strong gale, wind, downpour, rain), of the theft, damage or damaging vehicles being found in the Car Park, as well as in them left to the thing or constituting them equipment. A responsibility is being excluded for the dministrator on account of damages of communications concerning vehicles and persons using the car park and caused by action of Users or third parties. In case of infringing of decisions in this regulations by the User the Administrator can terminate the tenancy agreement of the parking space without notice with immediate effect and apply centres essential to restore the harmonious state with regulations in it also by removing the vehicle from the Car Park. In determined cases in the par. 1 User is obliged to cover all costs associated with the removal of vehicle from the Car Park and with protecting him and storing until the receipt of the vehicle by the User. Additionally the Administrator is authorised to remove the vehicle from the Car Park in the time becoming known of the sudden and justified threat. In case of not-making the payment, the Administrator can take all heading agents of substantiating of the fact of entering into an agreement the lease of the parking space and seeking the amount due based on general provisions. The inspection of meeting the conditions of the tenancy agreement of the parking space is being conducted in the entire Car Park by persons authorised by the Administrator. Users have a duty of the compliance to orders issued by persons listed in act 1. Our House values your cooperation with regards to our rules and regulations, which will ensure your safety throughout your stay with us.